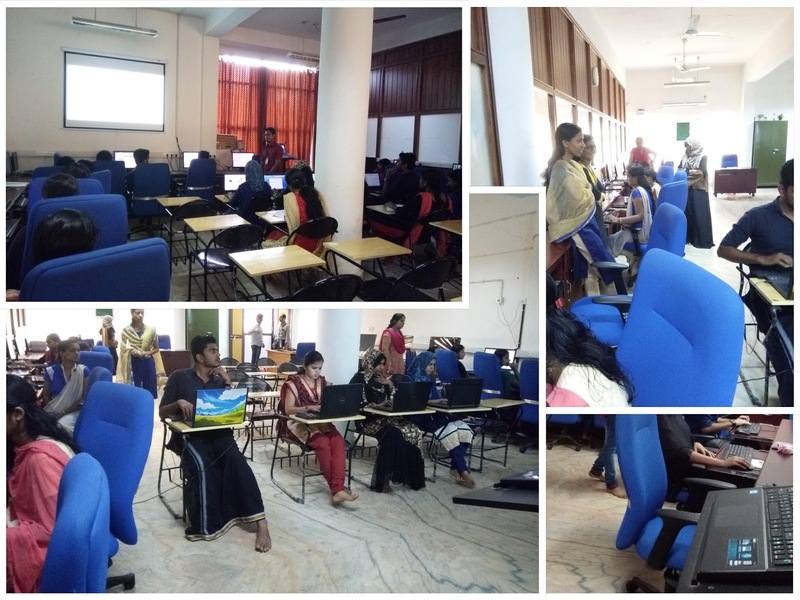 Hands-on Workshop on R Language was organized at GEC, Palakkad by SIMPLE Groups on 17th November 2017. The workshop was organized at M.Tech Computational Linguistics Lab for First Year M.Tech Students. Datatypes, variables, decision making, loops and function concepts in R language were discussed using example programs. Hands-on Workshop on GUI Programming using Python was organised at GEC, Palakkad by SIMPLE Groups on 15th November 2017. 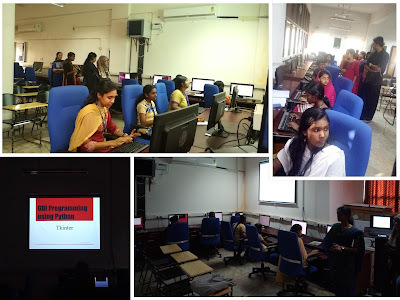 The workshop was organised for S3 and S5 B.Tech CSE students at M.Tech Computational Linguistics Lab. GUI Programming using Tkinter was introduced to the students using many hands-on example programs. SIMPLE Groups congratulates Ayishathahira, Sruthy, and Shabna for their achievements!! 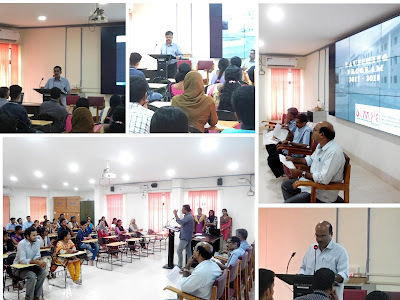 The inaugural ceremony of the launching of SIMPLE Groups Activities for the academic year 2017-2018 was held on 13th November 2017. The function was presided by Dr. Rafeeque P C, HOD CSE Department and inaugurated by Dr. P C Reghuraj, Principal, GEC Palakkad. Felicitation speech was given by Shine S, PG coordinator and A. R. Jayan, Convener, HRD Cell. Several teaching and non teaching staffs and student representatives from all B.Tech batches attended the program. The details of activities planned for this academic year were discussed in the function. The paper entitled "Summarizing Malayalam News Articles Using Topic Modeling", authored by Anjana T G, published in Fourth International Conference on Advancements in Engineering, applied science and management (ICAEASM), held on 8th October 2017 at Center for Development of Advanced Computing (C-DAC), Juhu, Mumbai, Maharashtra. SIMPLE Groups congratulates Anjana for her achievement!! The paper entitled "Malayalam News Classification Based On Topic Modeling", authored by Ramya Raj K P, published in Fourth International Conference on Advancements in Engineering, applied science and management (ICAEASM), held on 8th October 2017 at Center for Development of Advanced Computing (C-DAC), Juhu, Mumbai, Maharashtra. SIMPLE Groups congratulates Ramya for her achievement!! About the Company: Lymbyc is a venture of 20 year old, a leading name in Management Consulting and Human Resources in India. The company has been conceived by renowned entrepreneurs and experienced practitioners across organizations like GE, HSBC, TNS, IBM, Infosys, Genpact and Evalueserve. Combining Global footprint of consulting engagements with industry and functional expertise Lymbyc brings to the market the best of capabilities with its Analytics and Research Solutions and Analytics and Research Consulting Services. Simple Groups congratulates Gayathri for her achievement!! Mujeeb Rehman O of M.Tech Computational Linguistics 2011- 2013 batch has started an IT Company named ProgDest in Perinthalmanna, Malappuram. About the Company: ProgDest is an initiave by three young professionals, working in different IT companies, with same dream of brewing an excellent Software firm. They mainly focus on the field of web development, App Development, Digital marketing and many more. SIMPLE Groups congratulates Mujeeb Rehman for his achievement!! SIMPLE Groups congratulates Sreelakshmi and Varsha for their achievements!! The paper entitled "Keyphrases and Relation Extraction from Scientific Publications", authored by Anju R C, Sree Harsha Ramesh and Rafeeque P C, published in First International Conference on Latest Advances in Machine learning and DAta Science (LAMDA), held during 25 - 27 October 2017 organized by Department of Computer Science and Engineering, NIT Goa. About the Institute: International Center for Free and Open Source Software (ICFOSS) is an autonomous institution under the Government of Kerala, mandated with the objectives of co-ordinating FOSS initiatives within Kerala, as well as linking FOSS initiatives in other part of the world in order to push the agenda of promoting democratic access to information and knowledge through equitable models of production and distribution of software in particular and knowledge in general. About the Company: International Center for Free and Open Source Software (ICFOSS) is an autonomous institution under the Government of Kerala, mandated with the objectives of co-ordinating FOSS initiatives within Kerala, as well as linking FOSS initiatives in other part of the world in order to push the agenda of promoting democratic access to information and knowledge through equitable models of production and distribution of software in particular and knowledge in general. Simple Groups congratulates Reshma for her achievement!! Simple Groups congratulates Seema for her achievement! !